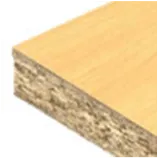 The cheapest top option: The cheapest option for the soundboard is to use laminate wood. Whilst this is great on the budget, it won’t be quite as nice on the ears! Mahogany: Mahogany is a dense wood and gives a ‘slower response rate’ – don’t ask me what that means in scientific terms! But what it does mean in practical terms is that it produces a strong/meaty mid range sound with more subtle overtones (a very ‘non-abrasive’ sound) which leads to an ‘earthy’ ‘mid-rangy’ sound. 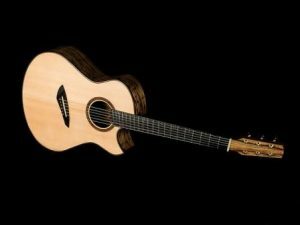 Thanks for reading and I hope you now are a lot more educated on the different types of wood that can make up an acoustic guitar and what sounds those woods will create and the styles each wood is best suited for. Knowing the different characteristic of woods now, would this influence your decision in buying your next guitar? Let me know what you think in the comments below. All other comments or questions very welcome also. I can’t say I’m familiar with Cindra guitars. I think your best bet would be to take it into a guitar store if you have one nearby and they should be able to tell you the tone-woods it’s made from and can probably do any repair work that’s needed or can refer you to someone who can do the work (unless you were going to do it yourself). I have an ovation glenn campbell edition.. And i really like the sound of it.. Mostly i’m a strummer.. And still learning to finger picking.. 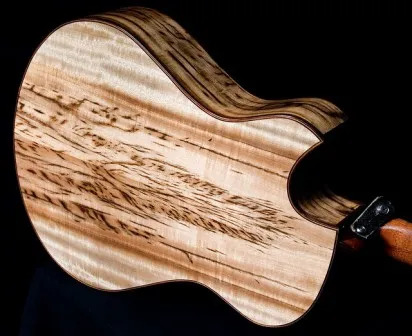 I have a plan to build a custom 12 strings guitar.. May i ask for your opinion about which wood material it will be best to build a nice 12 strings that have a great sound like my ovation but can be warmth like gibson sound.. Thanks..
I’m not a guitar builder and I don’t have expertise with 12-string guitars. But looking at the Ovation Glenn Campbell – it has a high grade Sitka Spruce on the top and fibreglass body (unique to ovations). 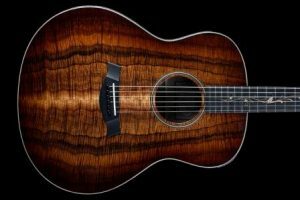 In my opinion you will likely want to go for that high grade sitka spruce top but potentially use tropical mahogany (if you want it really warm sounding) Rosewood if you want the sound to be brighter and crisper and something like Sapele if you want it to be warm but not quite as warm as Tropical Mahogany. Koa is another option. There are various other tonewoods used these days too like Ovangkol (similar to Rosewood). 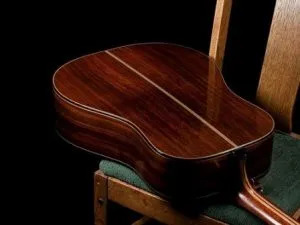 Gibson guitars use a variety of different tonewoods including Mahogany, Rosewood, Koa and Walnut for their back and sides and Sitka and Mahogany for their tops. So they have a variety of different sounding guitars – if you can be more specific with the model of Gibson that you are wanting to emulate that would be helpful. 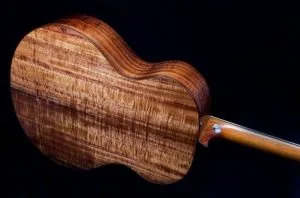 Bracing (in addition to other parts of the guitar) will also affect the tonal characteristics – so the way that the guitar is braced will also be important. And the shape/size of the guitar will also be very important in determining the final tone that you get. 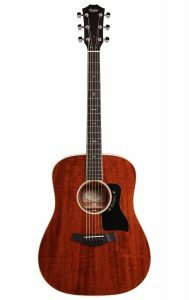 I’m not familiar with any guitars that have the same neck as an Ovation but there are certain neck profiles that are slimmer within the different brands. E.g. Martin has the “low oval” which is their slimmest and Taylor have the “slim”. You can check out more on neck widths at the following. I find Martin necks tend to be quite low profile – and most Martin guitars sound great, IMO. I like Ovations sound too though – but it is a very different sound. So yeah, I’d say Martin and if you want it as low profile as possible, then the Low Oval is their slimmest shape. I was planning on building a six string acoustic but this being my first time I have no idea where to begin. I like mellow mid range tones but also want it to be able to sound higher when I need it to. Any ideas would be gladly welcome. Yes. This was very informative and I will be using your advise in the near future. I am a new guitar builder and need to look at all of the angles, wood type, guitar materials, etc. Thanks again and God bless you and yours!